It’s been a very busy start to the summer here at WEBS! We’ve just moved into our new warehouse, and we’re working on getting everything settled. 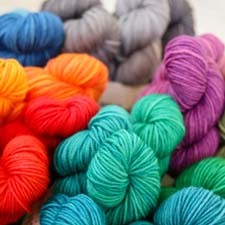 Fall yarns are already starting to arrive, and the staff at WEBS is buzzing about some of the new goodies we’ve received so far. Amy learned a new skill and managed to turn her first project into a fantastic zippered bag! Kathy’s buzz reminds us of why we love our Knitter’s Pride Dreamz needles and Dena shares one of her favorite new books. I had the privelege of taking LA’s weaving class this winter. Our second project was a twill sampler out of 2/10 Merino Tencel. I was not happy with mine until I realized I was weaving cloth that could be cut up to make things like zippered bags. (I can be a little slow sometimes) I made seven bags out of my sampler and have plans for many more! > Amy S.
Frog Tree Ewetopia – As a spinner, I love to examine the new yarns and how they are constructed, and this one caught my interest. One single strand of superwash treated Merino wool is plied with a single of untreated Merino wool, giving a slightly marled quality to the yarn as both plies have absorbed the color a little differently. The superwash treated ply has a subtle shine against the matte quality of the untreated wool. The different treatments will add a unique texture to this yarn after blocking and the finished fabrics it works into will have a lovely squishy softness. A really interesting yarn, and I’m looking forward to seeing some of the amazing projects folks will create with it! 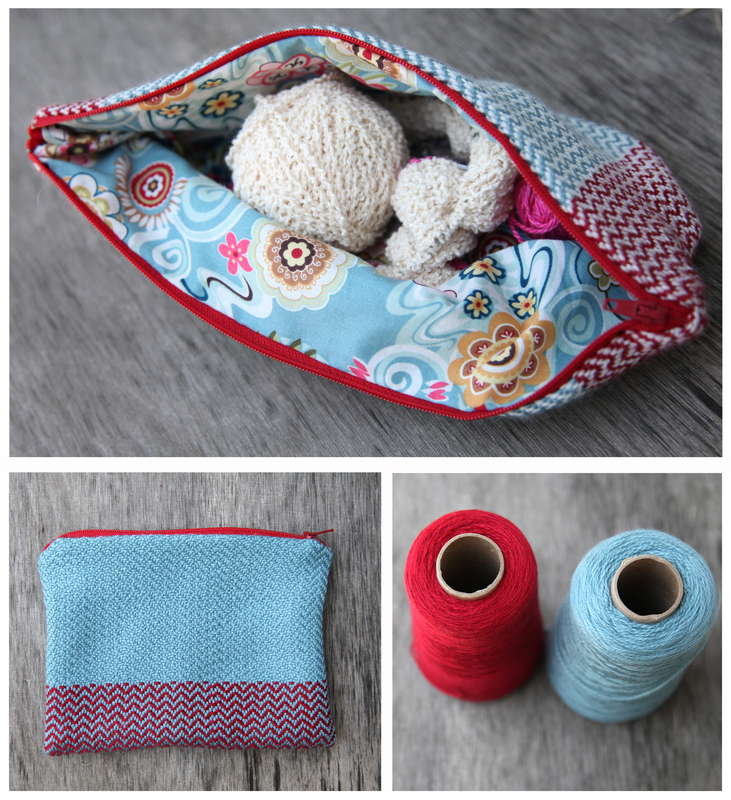 > Ashley F.
Imperial Yarn Columbia 2-Ply – I am in love with this yarn! The big 4oz hanks are so squishy and soft, I can imagine knitting a sweater I’d have forever. And I really like the fact that this yarn is from American wool, spun on old-school mule spinners, in a tiny town in Oregon. 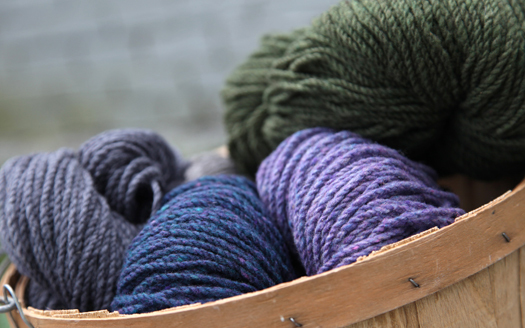 Imperial Stock Ranch is dedicated to sustainable land stewardship, so this yarn reflects my values. The colors are great, too– most of them are subtly heathered, and deep. I want a sweater in every color! 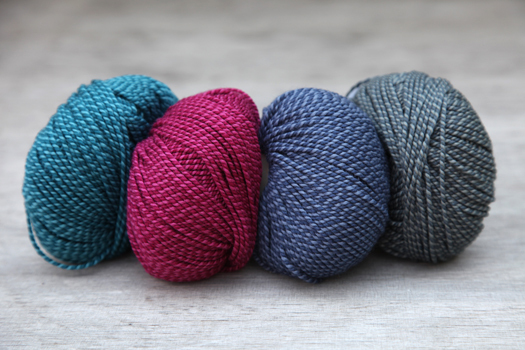 Maybe it’s time to learn fair isle… > Kendra C.
I am so excited that our new 5/2 Bamboo has arrived! This yarn will be great for weaving all sorts of projects. The colors are vibrant and shimmery and the hand is soft and fluid. I think it is going to make wonderfully drapey fabric and can hardly wait to get it on my loom. I have been planning a rigid heddle project – a scarf with some lace details, I think. And speaking of lace, I think this will knit up into some beautiful lacework. The colors choices are incredible. > Leslie Ann B.
Dreamz Needles from Knitter’s Pride – We’ve had these needles for several months but after using them for my latest project I was reminded how great they are. 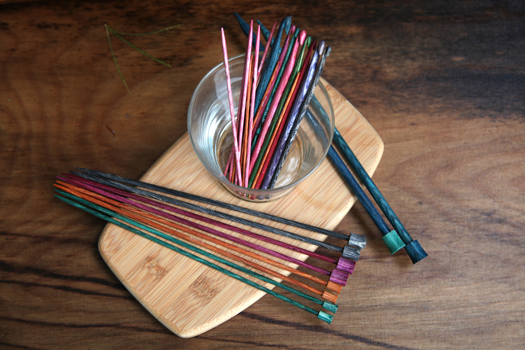 These beautiful wooden needles are smooth and the yarn slides easily along and over the joins. I love the points – not to dull but not too sharp. 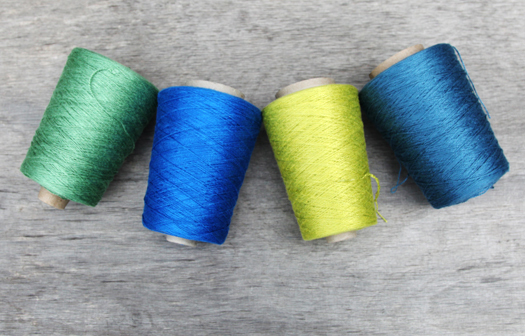 If you’ve yet to try these needles, consider them for your next project! You can also check out a great video review here. 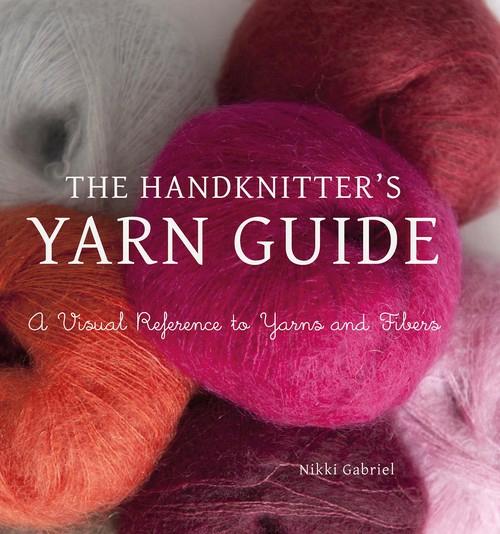 > Kathy E.
I was impressed by how much information was packed into The Handknitter’s Yarn Guide book – all things yarn weights, yarn fibers, and yarn construction. If you enjoy shopping our yarn closeouts or are curious how different fibers such as camel or alpaca will knit up, this book is the perfect guide to helping you make yarn substitution decisions when choosing a yarn for your next project. > Dena C.
This entry was posted on Friday, June 29th, 2012 at 12:00 pm	and is filed under Products at WEBS. You can follow any responses to this entry through the RSS 2.0 feed. You can leave a response, or trackback from your own site.